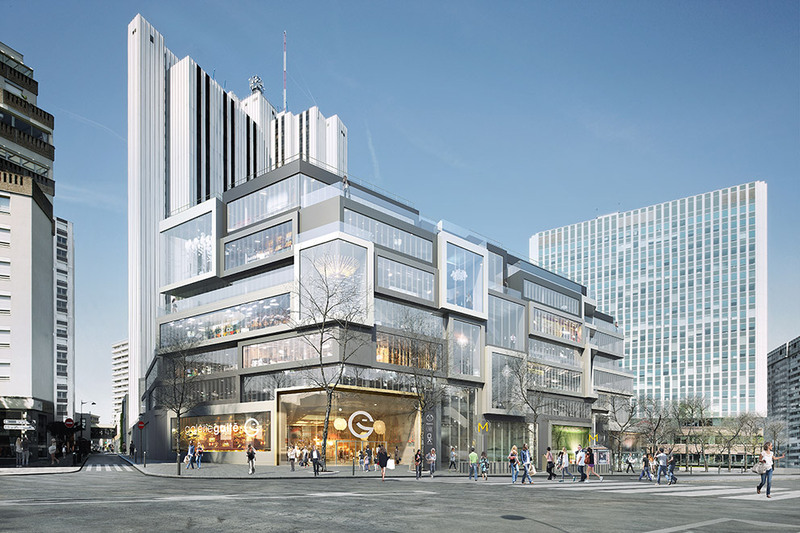 It was to be a massive palace of consumption in a prime Berlin location: right on Unter den Linden, boasting more than 200 stores and apartments on four levels. What sounds like competition for the major city-center shopping malls in the German capital, “Alexa” or “Mall of Berlin”, was an architectural vision with which Karl Friedrich Schinkel sought to impress the Prussian state in 1827. As Schinkel wrote to his potential developers, the giant shopping center was to give Berlin “a focal point […] for locals and visitors”, a “meeting point the likes of which is still lacking to this day”. The project was not met with favor by the Prussian government and wound up, like many of Schinkel’s trailblazing designs, in a drawer. It was not until over a century later that Schinkel’s idea of a department store composed of numerous different shops had its breakthrough. The revolution of mass consumerism initially took place elsewhere – in Paris, London and Milan. The 19th-century Parisian boulevards with the large department stores “Bon Marché”, “Grands Magasins du Louvre” and “Galarie Lafayette” are legendary, as is Milan’s magnificent “Galeria Vittorio Emanuele II”, where the shopping mall advanced into light-flooded triumphal architecture for the ruling Savoy dynasty. It is there that people once aimlessly strolled, continually on the lookout for amusement. 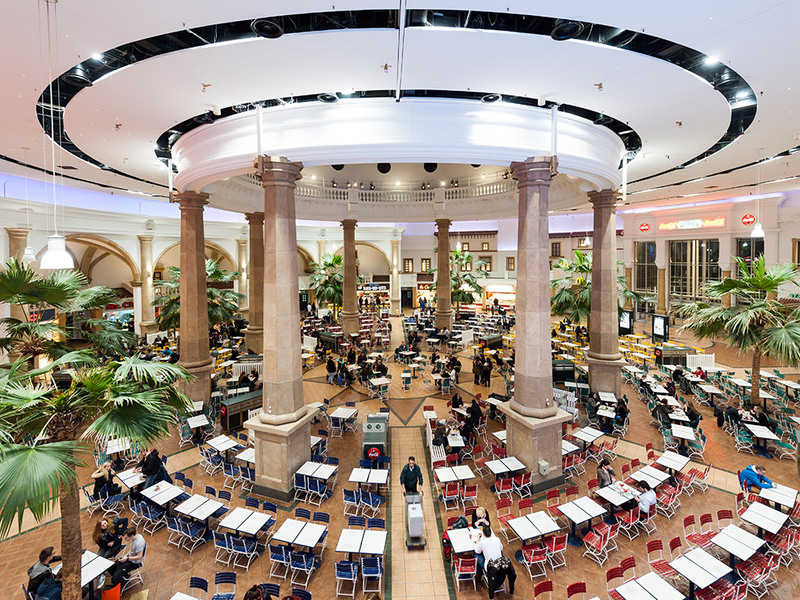 These days, shopping malls like “Alexa” in Berlin or “MyZeil” in Frankfurt/Main are pleasant environments accentuated by music, in which we can while away hour after hour. Aimless strolling and consumption come together in one setting, in which there is neither rain nor snow and the temperature never wavers. In today’s malls, the theatricality of consumption and the aesthetics of the consumer world are celebrated almost like a stage show. It is this “architecture of consumption” that the Architecture Museum of the Technical University of Munich is currently examining in the city’s Pinakothek der Moderne. The “World of Malls” exhibition outlines the development of this still relatively young type of building, using a selection of malls from America, Asia, the United Arab Emirates and Europe. Within the overall dramatic composition the individual cabinets appear like scenes in a stage show about the wondrous world of consumption. 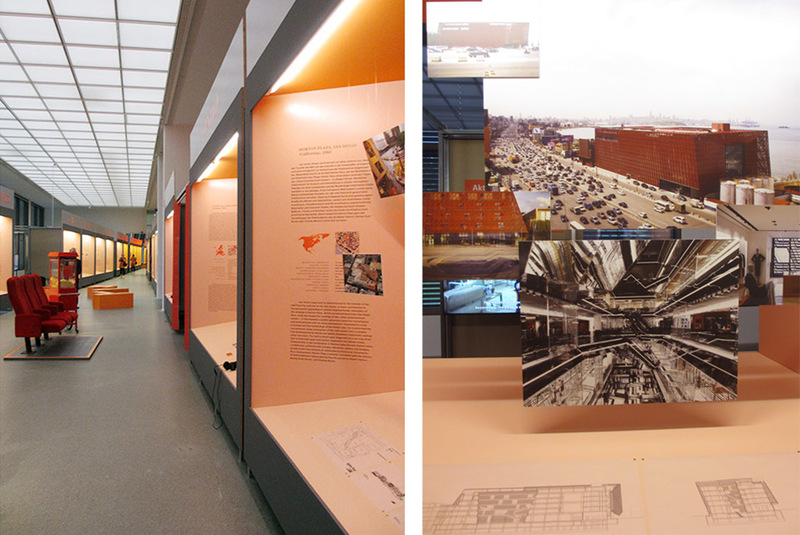 Accompanied by 23 selected projects, visitors go on a journey over six decades. It begins with “Shoppers World”, built in 1951 in the American state of Massachusetts, which has the prevailing stylistic features: located outside the city center, surrounded by massive parking lots, inside a hybrid shopping experience combining stores and recreational areas based on American city centers. The architecture unreservedly championed the ideals of the Modern Age, with light-flooded halls, walls of display windows and pergolas around green courtyards all intended to create a functional shopping paradise. In 1964 the “Main-Taunus-Zentrum” imported the successful model from the USA to West Germany one-to-one. The exhibition in Munich also recalls the fantastic, and recently demolished, “Schwabylon” from 1973. With its garish façades, a huge shark tank and legendary underwater nightclub “Yellow Submarine” it was like a Pop Art palace made reality in the Munich district of Schwabing. Of course no architectural trend better captured the essence of the mall than the postmodern, with its allegiance to magical settings and glitz. 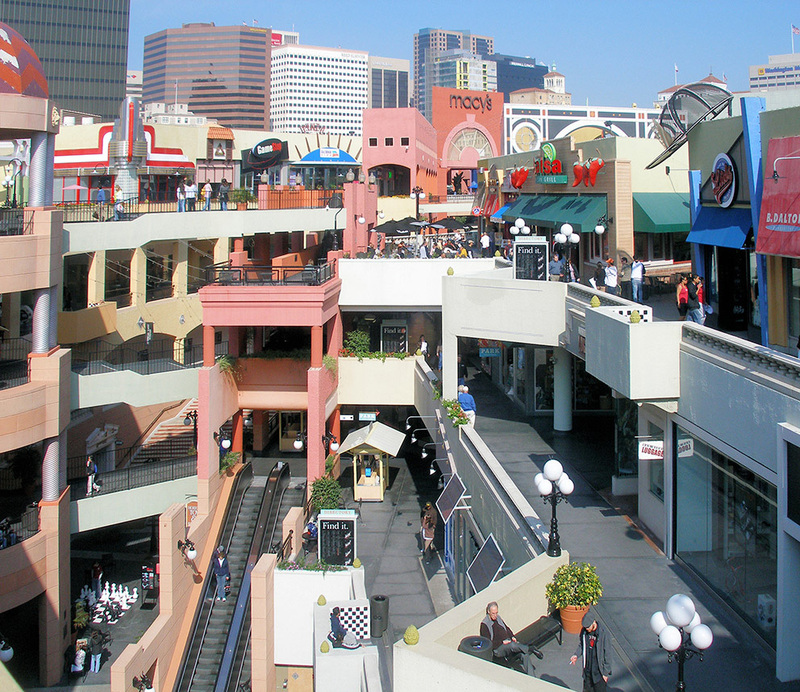 From the “Horton Plaza” mall in San Diego from 1985 – a colorful collage in the style of Charles Moore – to the 2005 “New South China Mall” with pseudo-Belle Époque towers, the exhibition documents the victory march of the recycling of forms in consumer architecture. 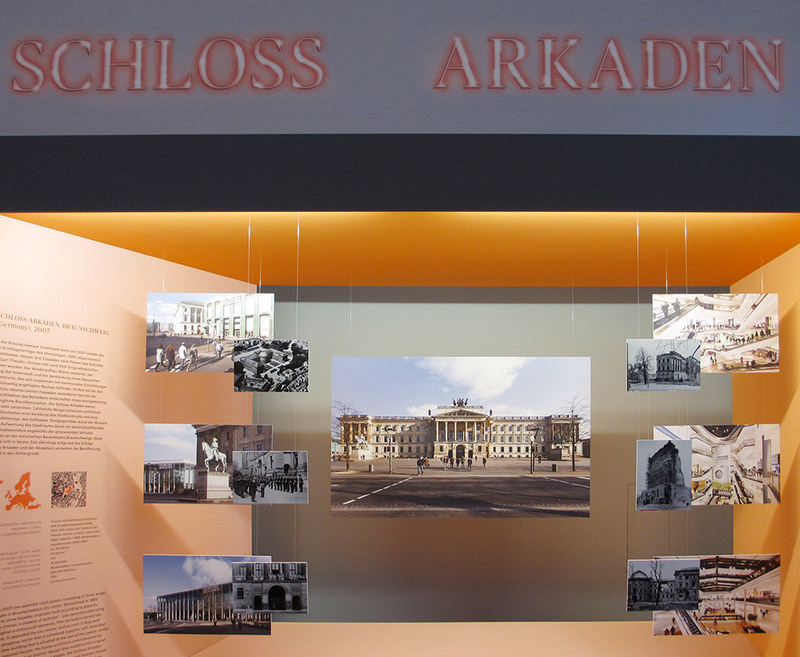 A particular highlight in terms of architecture that provides a special setting is the blind wall of Brunswick Palace, reconstructed in 2007, whose portico turns out to be the entrance to the “Schloss Arkaden” shopping center. Moreover, recent projects such as the “Aïshti Foundation” by David Adjaye, “Volt” designed by J. Mayer H. and MVRDV’s “Vandamme Nord”, which round off the show, demonstrate different approaches. 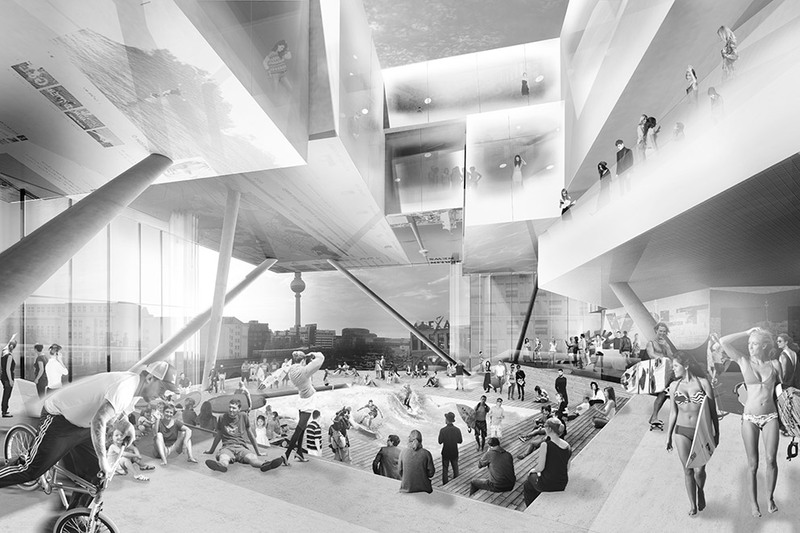 The individual buildings are presented using photographs of interior and exterior views, site and floor plans, cross-sections and short accompanying texts. Models are rare. The catalog is well worth reading and features numerous articles that take a critical look at the development of the shopping mall and examine the architectural elements of this new type of building in detail. 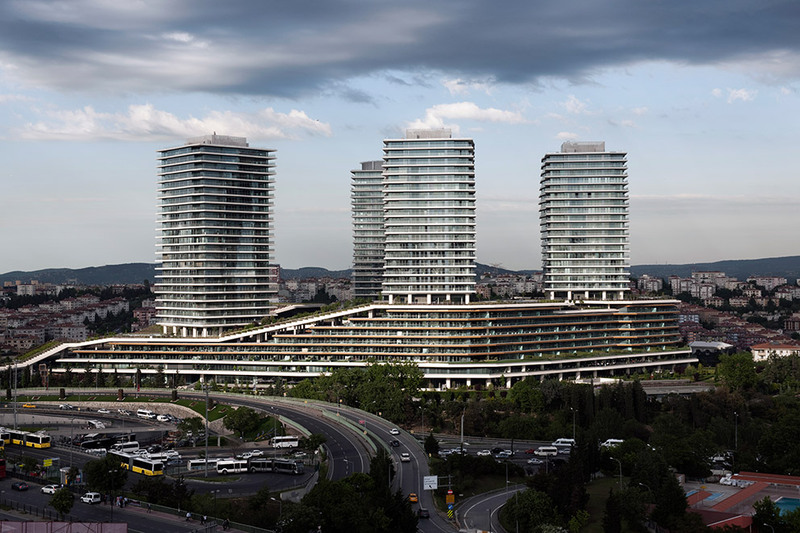 Virtually no other building splits opinion more than shopping mall. For a long time such commissions were unpopular among architects. It is only slowly that interest in such large-scale projects has begun to grow, including among renowned architectural offices, as evidenced by the final cabinets in the exhibition. 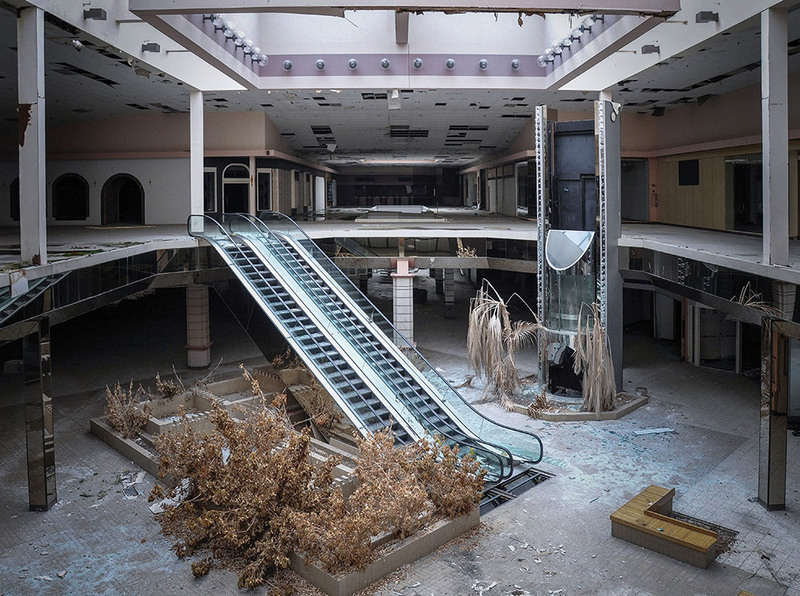 The potential of the mall as a shielded world of consumption and experience within the urban space under changed global climatic conditions is only gradually being grasped. Thus for the first time this exhibition gives the shopping mall a place in architectural history, since it is actually the first in this form to deal entirely with this type of building. 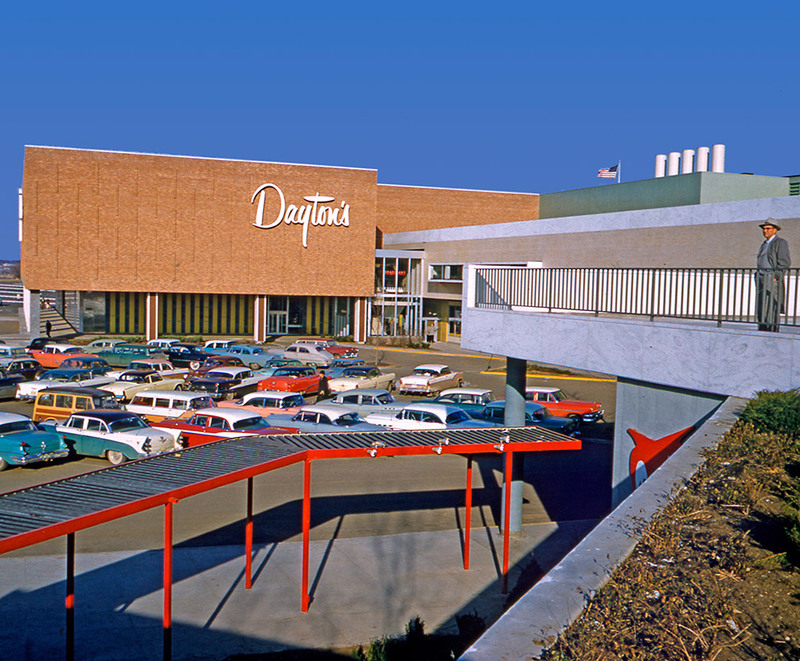 When in 1950s America the first malls were built both in the suburbs and within the urban fabric of city centers, this represented nothing less than the birth of a new type of architecture, as well as a hybrid “lifeworld”. The first consumer buildings of this kind served as a shell containing sales spaces and as a backdrop for an ever more colorful consumer world. They represented the embodiment of a new leisure activity: shopping. The need and the architectural quality of such shopping centers, which generally combined many different businesses under one roof, remain controversial to this day. On the one hand they offer diversity, whilst on the other they are suspected of contributing to the decline of city centers. 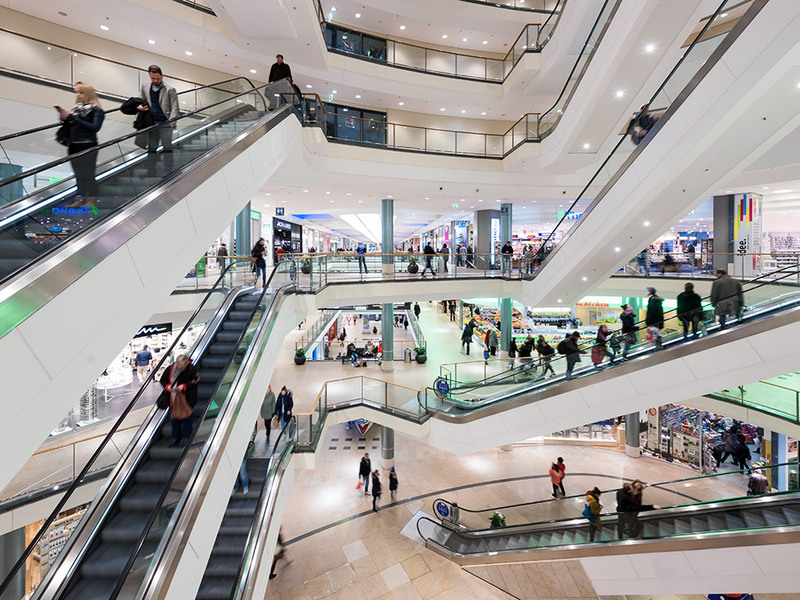 Nevertheless, over the last few decades the shopping mall has advanced all over the world to become a place in which people not only shop, but also spend their free time. This is part of the reason why property developers who plan such centers have now begun adding swimming pools, cinemas, cafés and restaurants to their centers, where visitors can spend time in addition to shopping. Thanks to smart spatial concepts and sophisticated circulation systems leading visitors through the various zones of the mall, veritable “pathways of experience” are being created. The design of the free spaces between the stores is also becoming increasingly important, as the quality of the time people spend in the centers is optimized for primarily economic purposes, conceived as a dramatically charged sequence of store fronts. 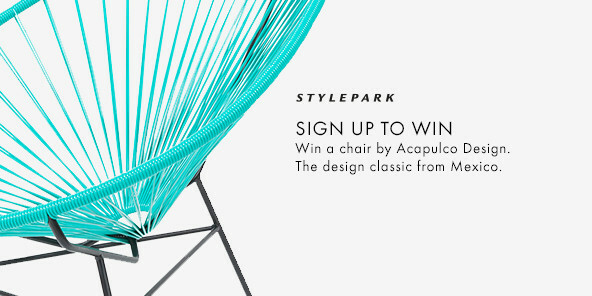 In the last few years star architects have also been brought on board ever more frequently for the elaborate projects, whereby the signature of a well-known architect can boost media resonance and thus make the project known to the public and as popular as possible. Examples are not hard to find: In 2008 “Westside” by Daniel Libeskind opened in Bern’s Brünnen district, which in a large planning area between autobahn and agglomeration responds to various urban situations and seeks, with no lack of skill or sophistication, to connect the surrounding residential quarters and public plazas in Libeskind’s deconstructivist style. With “Hanjie Wanda Square” by UN Studio on the periphery of Wuhan Ben van Berkel combines amorphous signature curves with glittering steel-and-glass surfaces to create a spectacular spaceship of consumption. The trend is also evident in other areas of the architectural typology of commerce. In order to be able to lure a wealthy public into the world of brands, luxury labels like Prada and Dior are also ever more frequently employing star architects to design their flagship stores. The latest example is the Chanel store on Amsterdam’s luxury shopping street “P.C. Hooftstraat”, with its impressive glass tile façade designed by the architects at MVRDV. The same applies to the Issey Miyake store in Manhattan in the Bilbao design of Frank O. Gehry, David Chipperfield’s “Valentino Man Store” in Paris and the two-story corner building on the shopping street “Ometesando” in Tokyo, designed by O.M.A. for Coach. In times of increasing online shopping it appears to be ever more difficult for brand managers and marketing departments to lure customers back to the shopping streets and into the stores. Unlike the signature stores of fashion companies on the luxury boulevards of the international metropolises, which deliberately face the public sphere, shopping malls generally stand isolated like fortresses in the centers of many big cities, or on suburban traffic axes. Whatever your views on that, the concept of the shopping mall – the shared emporium as a closed, covered, climate-controlled arcade – is perhaps the most significant innovation in the architecture of consumption in the 20th century, despite or perhaps because of its far-reaching consequences with regard to urban development. The socio-cultural impact of this new type of building on both cities and human beings is merely an incidental element of this exhibition, however. Efforts are made to remain neutral and to enable the voices of the various different actors involved in the construction of a mall to be heard – city authorities, developers, investors, architects and city dwellers were interviewed and are represented in the exhibition by means of film clips. The fact that shopping malls are by no means unguarded public spaces is highlighted even as you enter, as you pass by surveillance videos that show people bustling about apparently unobserved in the arcades. At the exit too, you come across surveillance videos. Here though, visitors sees themselves amidst the hustle and bustle of the exhibition rooms. World of Malls. Architectures of Consumption.